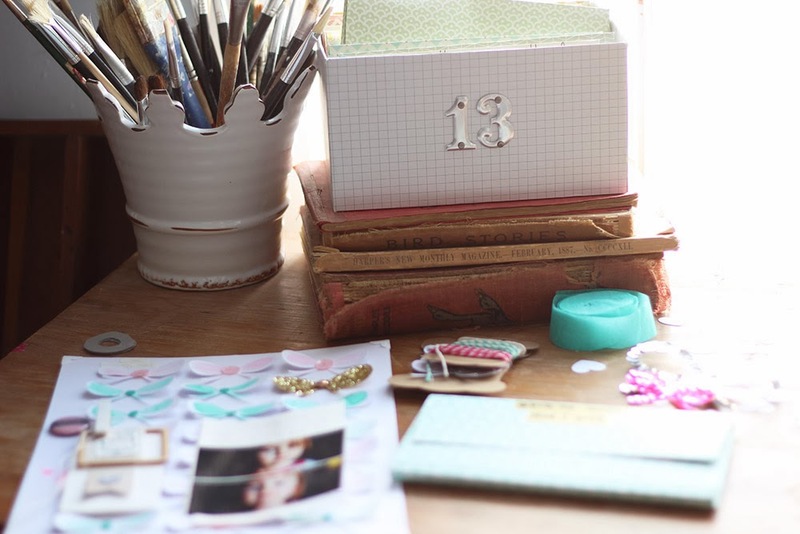 things that shine: Easy DIY photo storage box + a give-away! To win a set of three photo envelopes, just Pin one of these images and leave me a comment saying you Pinned! Thank you to all my readers who read and Pinned! I've contacted the winner! 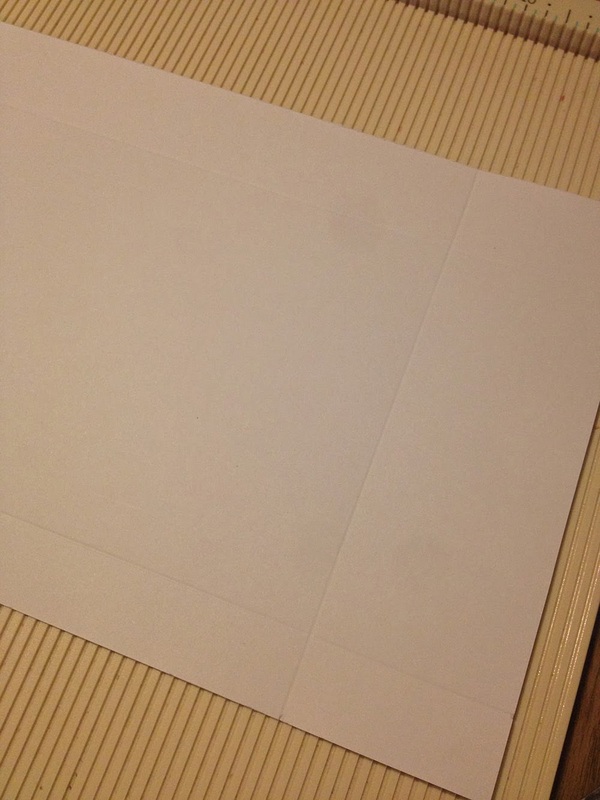 After I made paper envelopes for photo storage, I wanted a small and compact way to store them. I like having photos within reach on my desk, but if they're loose or even in envies, they get lost under layers of projects, so keeping them in a box helps me keep track of them. I also wanted something smaller than the photo boxes from Michael's or IKEA that I usually buy. 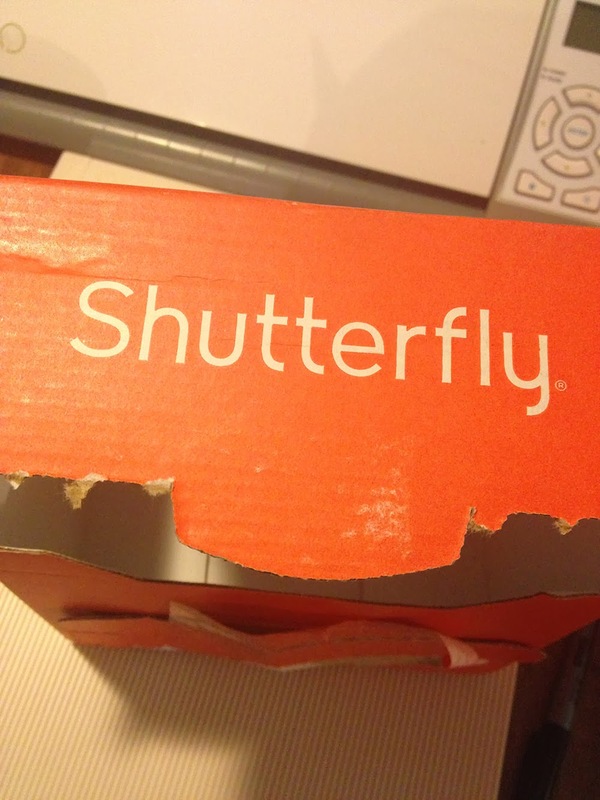 As I was looking through my box collection I realized my photos came with the perfect storage.. the Shutterfly box! (I order all of my prints from Shutterfly!). But it was way too bright orange and Shutterfly-y to have on my desk. A quick make-over and now it's pretty, and functional! 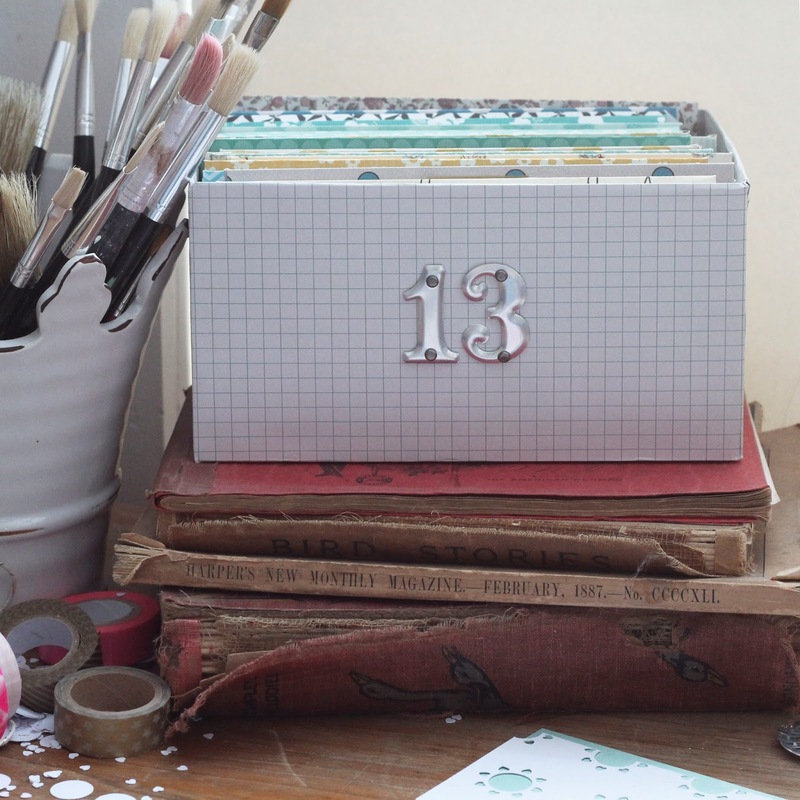 To see how I quickly turned a free box into pretty storage, keep on reading! 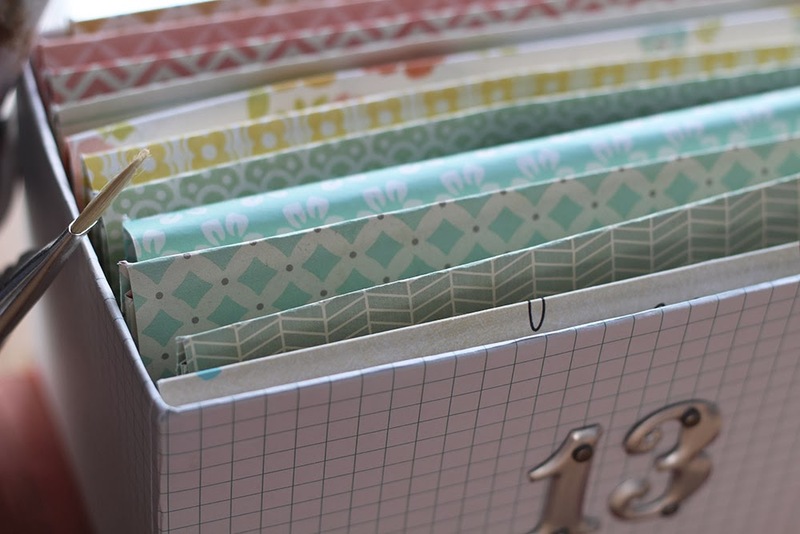 Start with that bright orange Shutterfly box (or any other box of your choosing). 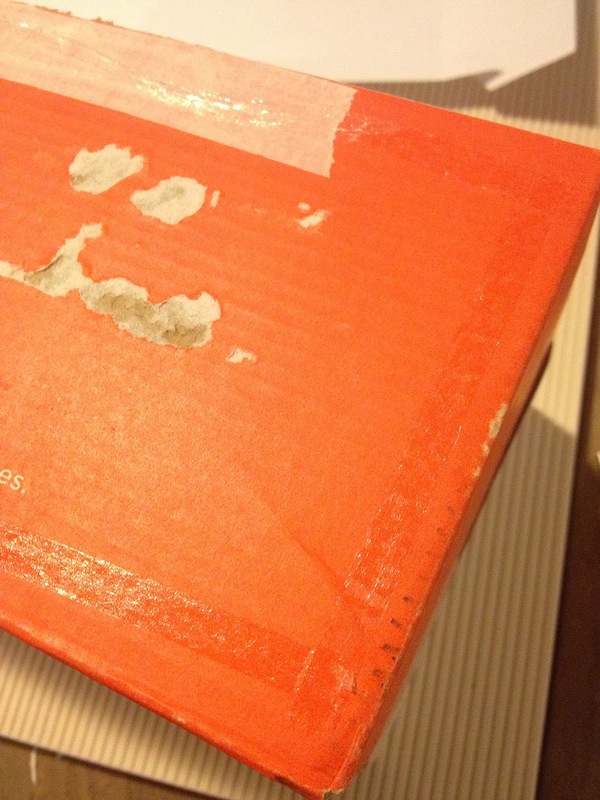 My box had some lumpy bits of tape and cardboard on it, from when I opened it. I tore off the lumpy bits of cardboard and tape, and it was ugly. But that's OK. I put my photo envelopes inside to see how they fit and how tall I wanted the box to be. 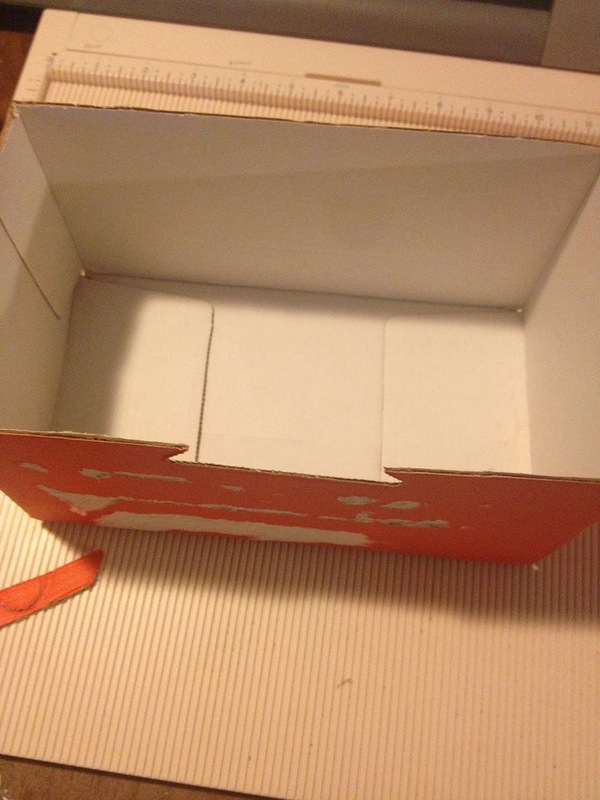 I measured to see how much I wanted to cut off the top of the box. I had to decide if I wanted the box shorter, taller, or exactly the same height as the photo envelopes. 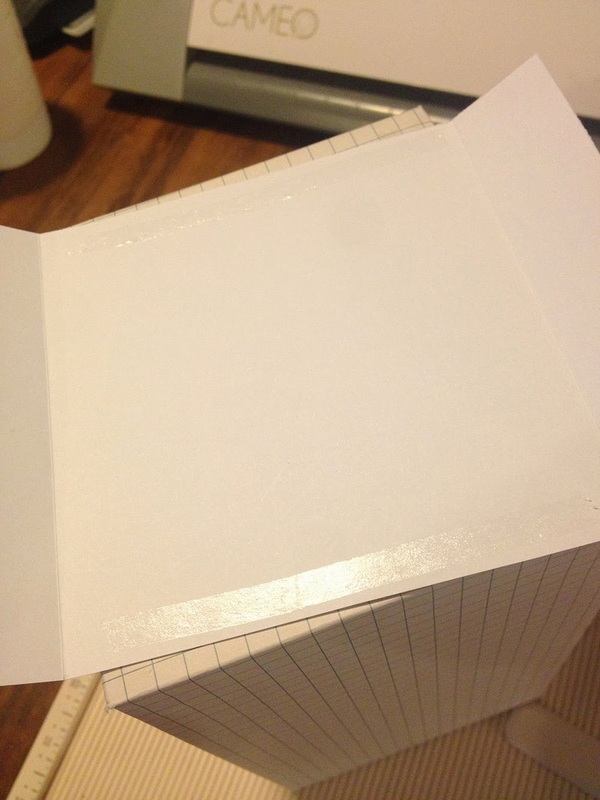 I decided to make the box just slightly shorter than the envelopes, because I thought it would be easier to flip through them and see the labels on the front of the photo envelopes. 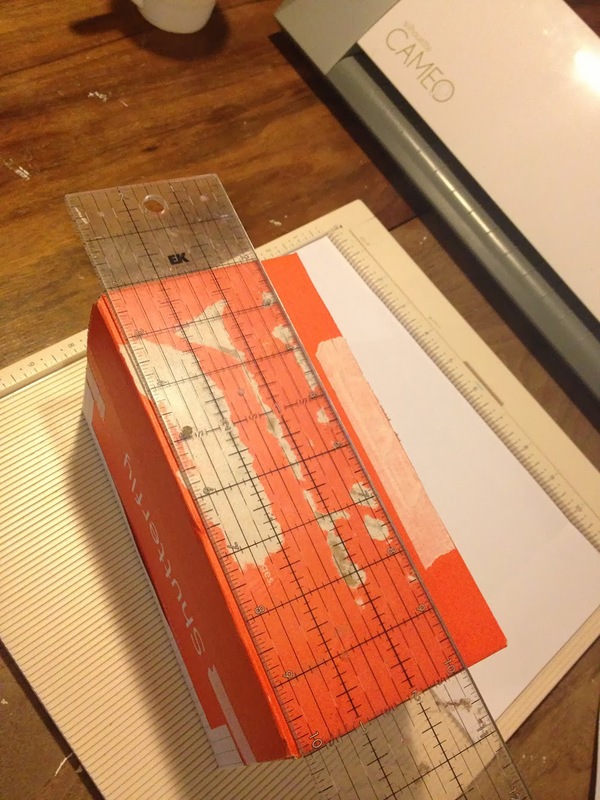 I used a metal edged ruler and lined it up against the top edge of the box and cut it down using a utility knife. Please don't cut yourself! If a bit of your box falls off when you cut it down, don't despair. Grab some masking tape and tape that little bit back in. 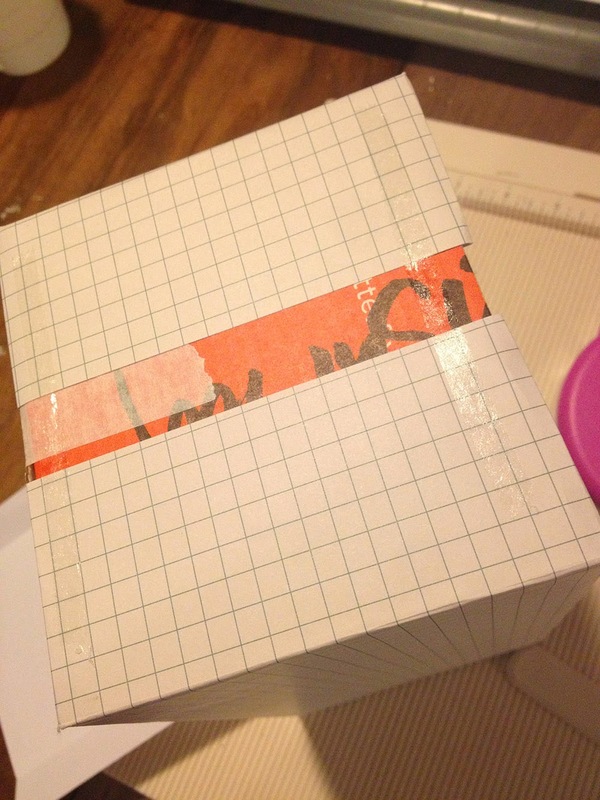 If any edges or corners are a bit loose and floppy, tape them down so they are nice and tight. This will just make your finished box edges a bit neater. 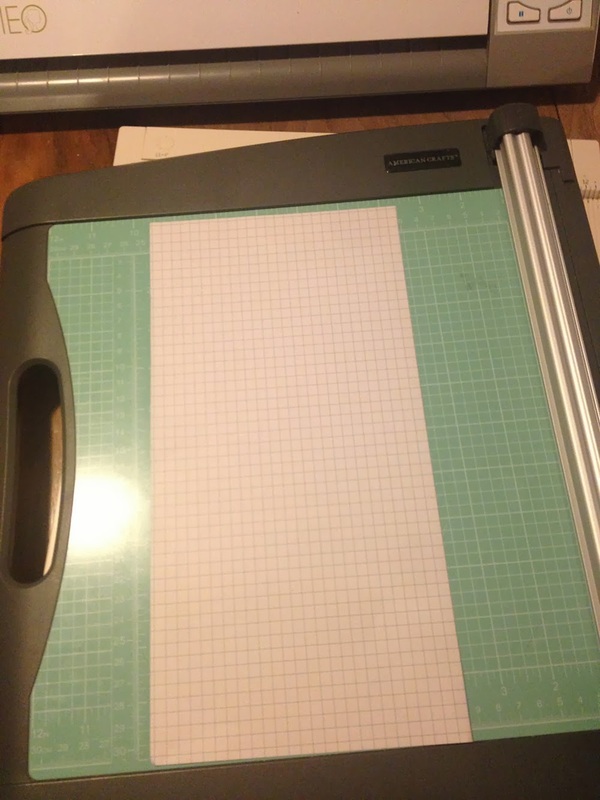 I decided to use some grid paper I bought at Michael's when they had one of their crazy patterned paper sales, so I think it was like 0.10 or something. It was quite a process deciding which paper to use -- balancing what would look good vs possibly ruining an entire 1.00 sheet of paper if the whole box didn't work out. (I'm sure you know by know that I'm super frugal!). I cut the paper down to 6x12 inches. 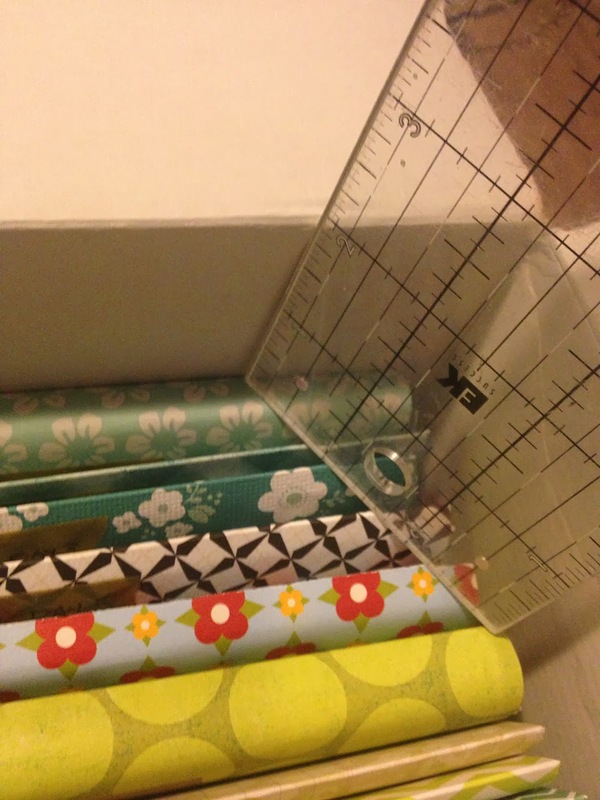 Place your box on the cut down paper and figure out how to best centre it on the paper. 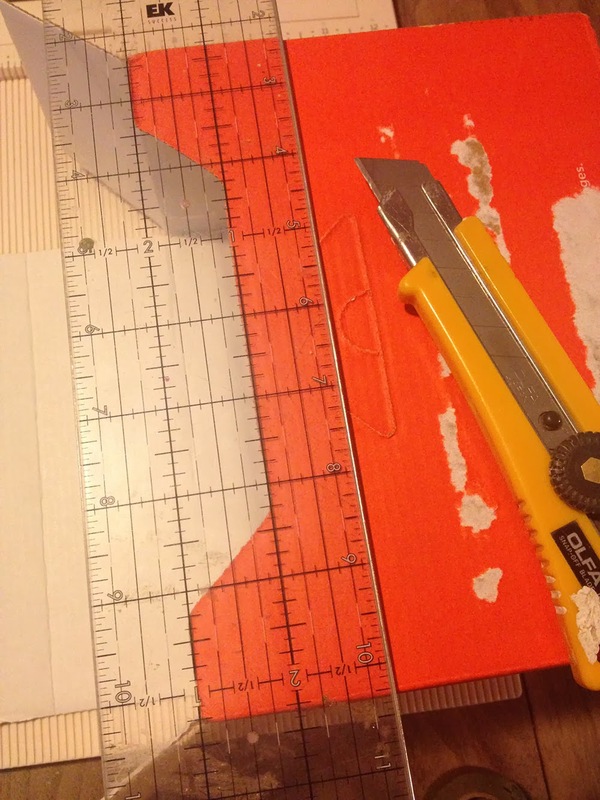 You may also want to use a ruler to do this. 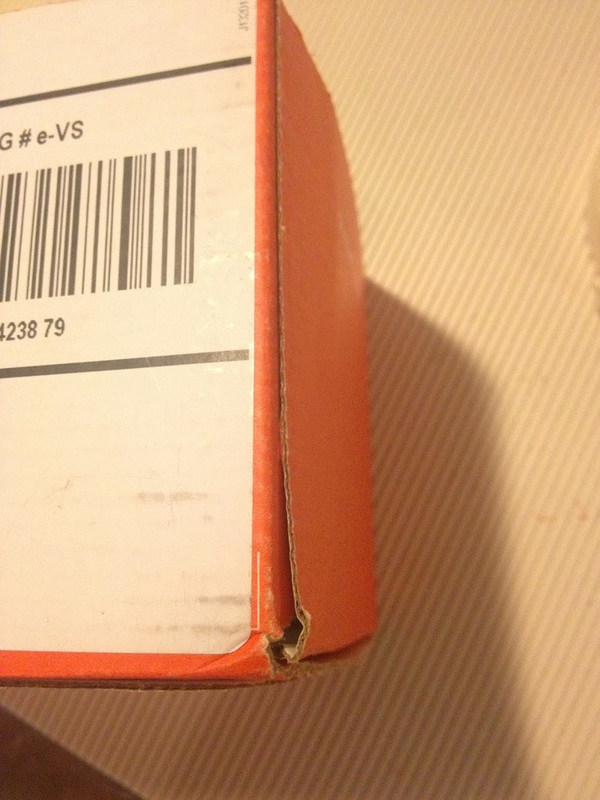 It looks like my box was about 8 inches wide by 4 inches tall. I used a scoreboard and scored the paper on the backside. I scored it one inch from each side, and a little more than an inch at the top and a little less than an inch on the bottom. 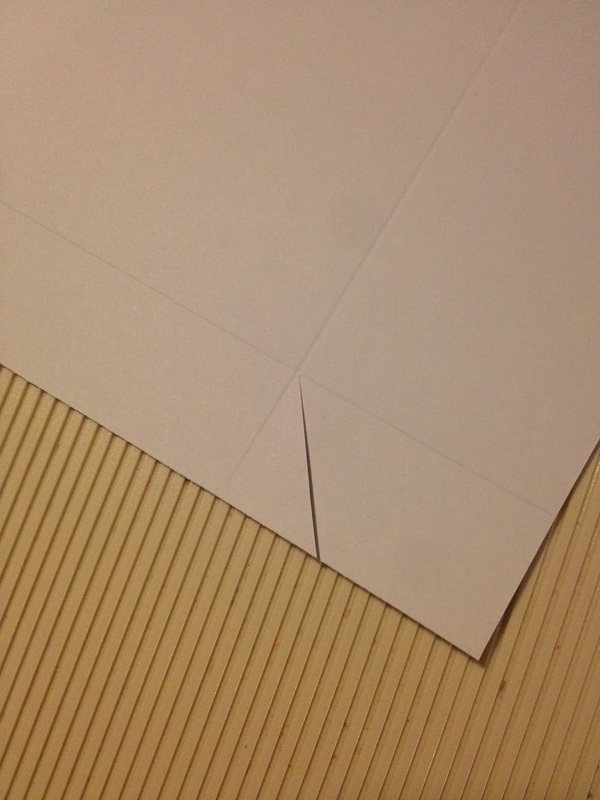 Cut a slit in the corners so the paper will sit nicely around the box corner. 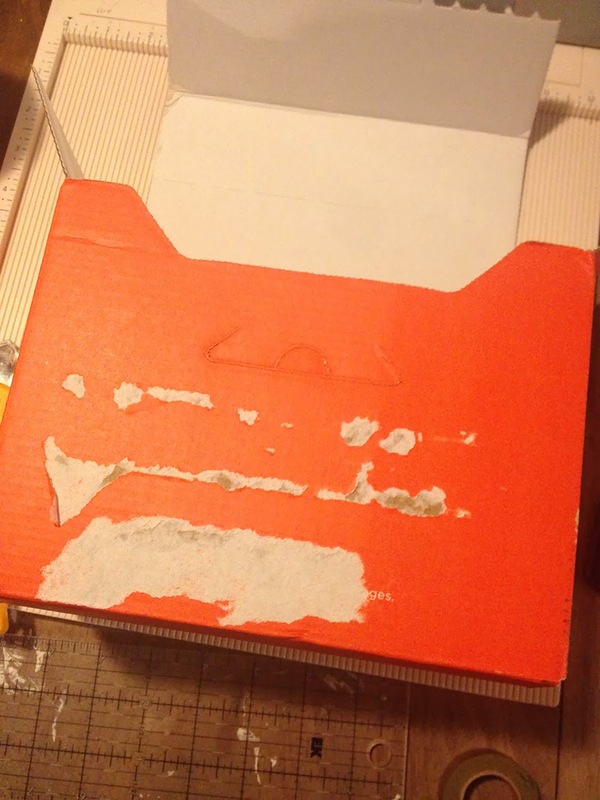 I debated about using Mod Podge but I didn't want to get out brushes and stuff, and didn't want to worry about soggy paper or that the thin cheap paper I was using might look transparent and let that brilliant orange show through once wetted with adhesive. 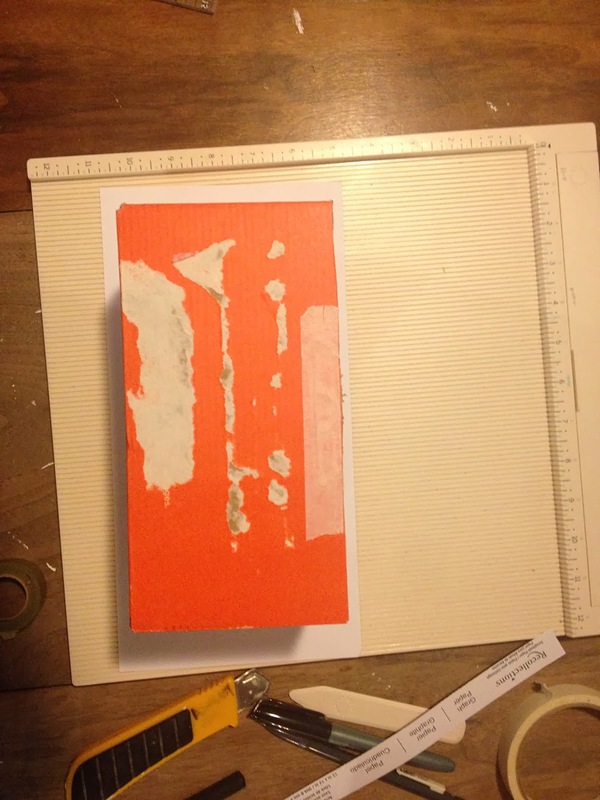 Instead, I ran a length of ATG adhesive around the perimeter of the box front. 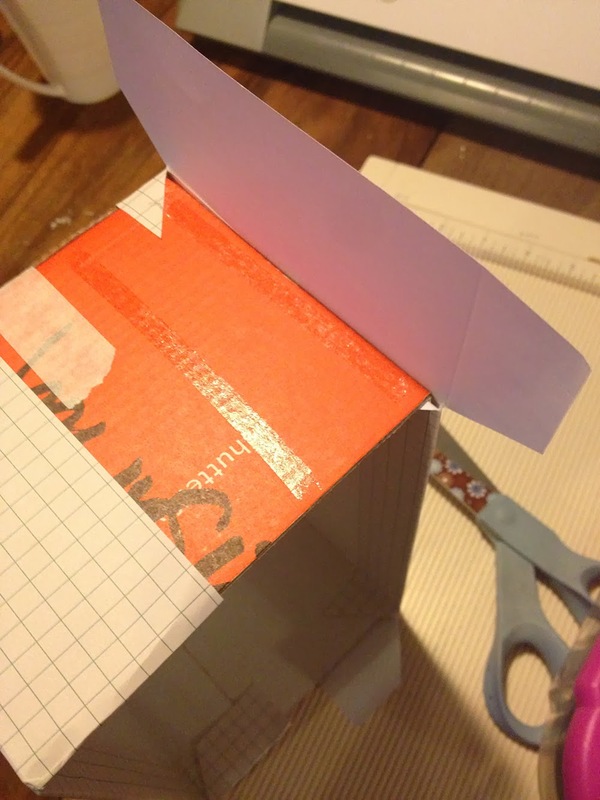 Once the front of the box is covered, wrap the excess paper around the sides. If the paper doesn't cover the sides fully, trim another piece to cover the side. 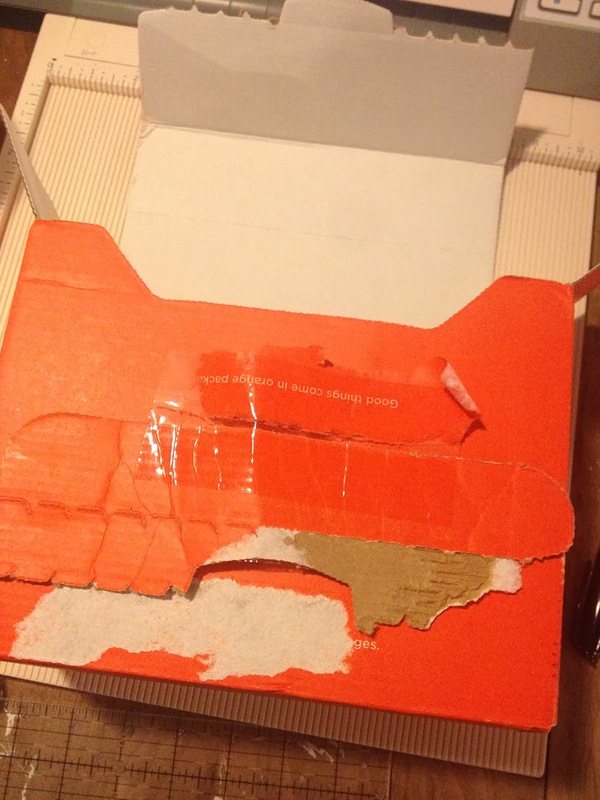 Apply adhesive to the side covering, apply to the end of the box, and then wrap the edges to the inside of the box and under the box. I pinned the first image! What a great quick tutorial! THANKS! I pinned the first image, I love these envelopes and together with the box they look so pretty. 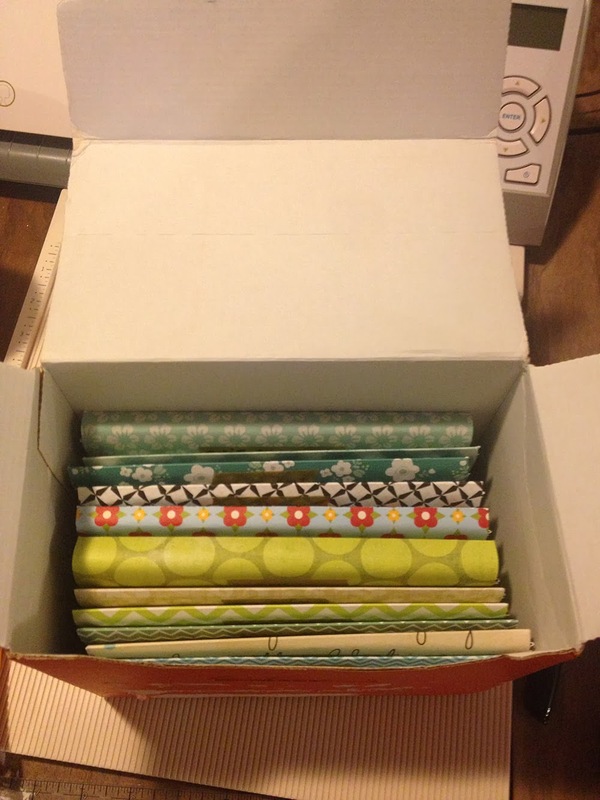 I pinned and hope I can make the size box that you did. Great job! i love all these image ... and I wanted to organize all of our photos. It is just the right size to hold lots of photo and keep them in place. Storage Containers to buy!